Welcome Amy van de Laar of Baroque Purls! See her patterns on Ravelry. Visit her on Instagram. I really love KALs and big Ravelry events, but for me the GAL is extra-special because of the great spirit of generosity around it – crafting gifts for loved ones. I have so much fun browsing the other designers’ patterns and choosing my favourites to spread the word about, and handing out the pattern prizes is always a blast! And as a moderator, I also enjoy having the chance to be part of a team – having a one-person business, I don’t get to do that very often. Creating things excites me. I think it’s just magical that I get to create something from scratch when I design, going from sketches and swatches and drafts through to a finished project and the instructions so that others can make it. 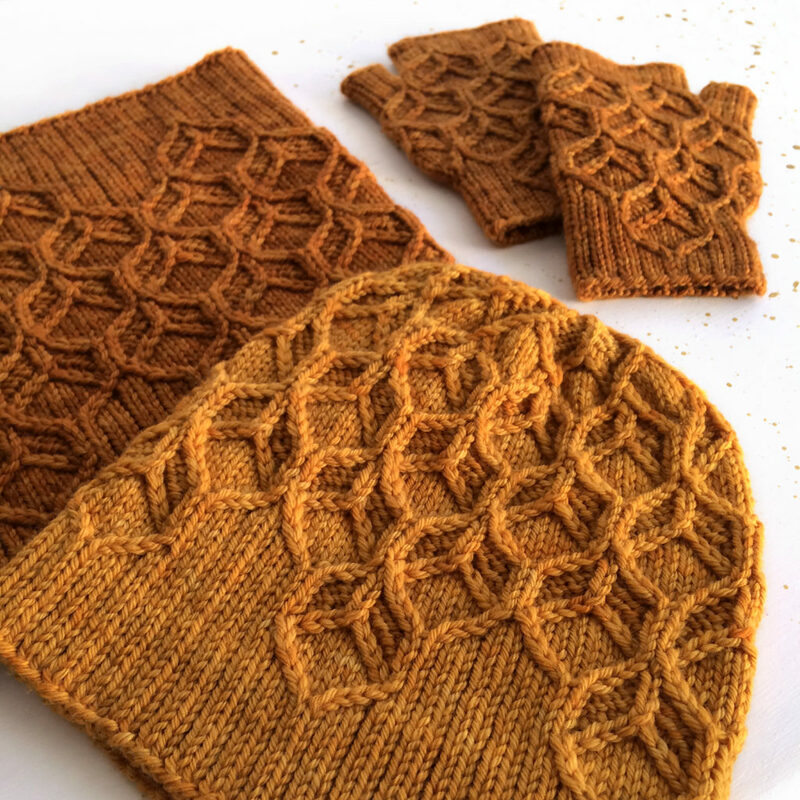 The most rewarding part for me is probably the swatching stage, when I’m working through and problem-solving to get the stitch patterns and edges etc exactly right. When it’s not working it’s extremely frustrating, especially when I’m working to a submission deadline, but when it IS working it makes me feel like a genius! I get a lot of inspiration from nature, especially leaves and feathers and honeycomb – things that lend themselves to geometric simplification, which is a big part of my style at the moment. I also get ideas from artworks, and more abstract geometric designs. 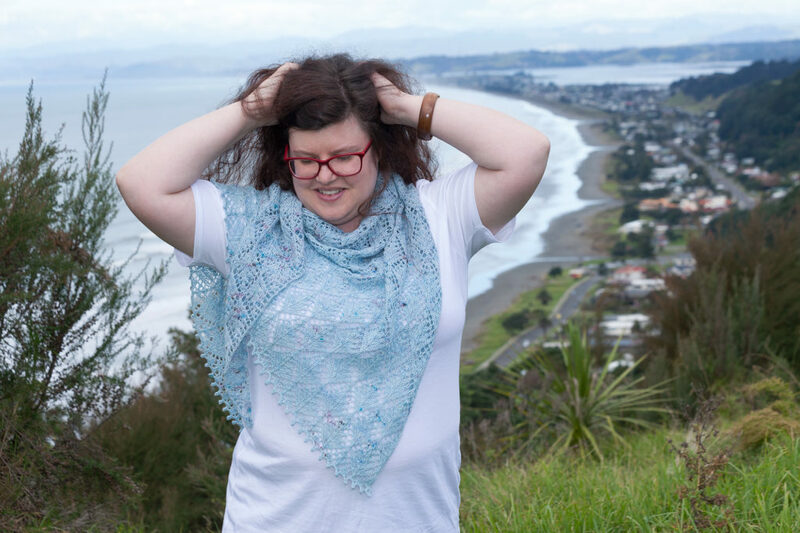 I have two shawl designs inspired by birds native to New Zealand, which was my home until 2012. In Australia I don’t often get the opportunity to wear a lot of my creations, because it’s stinking hot for most of the year, and I don’t get cold easily even in winter. So I tend to just make things that inspire me and that I want to knit, knowing I won’t necessarily get to wear them any time soon. Right now, it’s definitely shawls! There are just so many possibilities for the shape and fabric, and I enjoy the freedom of not needing it to fit a particular body part. I find a large or medium-sized shawl a really satisfying thing to knit, both while it’s in progress and when it’s revealed in all its glory on the blocking mats. 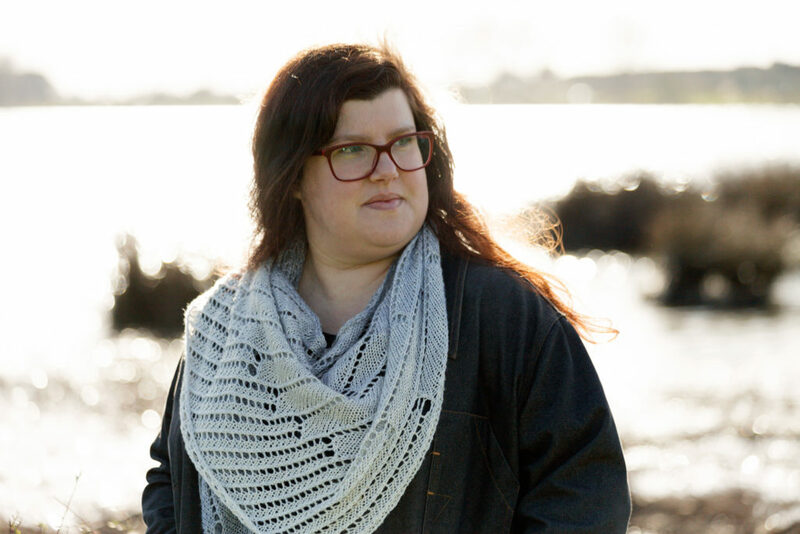 Feeling part of a bigger community while being a real home-body – Ravelry and other social media have allowed me to connect with people who share some of my obsessions, which has been especially valuable with most of my friends and family in another country. Connecting with other designers and dyers has been especially great, because they understand the full depth of my fibre obsession!